Let the Sleep Challenge Begin!! If you received this post via email, just click here to get to the web version, for a video, all the links, & to write or read the comments. "Sleep is much more important than we realize. We're so wired to our wirless devices that we're not getting enough sleep--and that of course engenders a higher incidence of obesity, diabetes, depression, & all sorts of things." Dr. Eric Topol, a renowned cardiologist & digital medical tech guru at the Scripps Institute, ran his own clinical trial with MyZeo, a home sleep monitoring device, & discovered several mistakes he was making that compromised his quality of sleep. By changing his behavior he was able to promote better sleep--a better quality sleep, & improve the most important phase three deep sleep & the phase four REM sleep. 1. Power down the technology an hour before sleep. No email or searching the web. 2. Become more rigid & consistent about going to sleep earlier & at the same time. 3. Why do we need to get to sleep earlier? The best sleep--the deepest sleep--occurs in the first third of the night. If you go to sleep later, you are losing out--going against your own body's clock. These simple changes made a tremendous difference to the quality of Topol's sleep--but, he stresses that every individual may need to change different factors to improve their own sleep. Eric Topol, MD, is the Chief Academic Officer at Scripps Health and the director of the Scripps Translational Science Institute. Dr. Topol is the author of The Creative Destruction of Medicine: How the Digital Revolution Will Create Better Health Care. I slept like a baby while on vacation. What was I doing differently? No computer. No iPhone. No TV. I went to sleep around 10 o'lock, & I was able to get 8 hours of sleep. I felt amazing. The first week back to work, I reverted to my old habits. Stayed up too late. Was on the computer in the evening, right before I went to bed. I got up at 5:30 or 6:00 am, so I only got around 6 hours of sleep, at best. On Wednesday night after a long day at work, I willpowered myself to take a walk when I got home, even though it was late, 7:20 pm. I brought along my iPhone & serendipitously selected a People's Pharmacy podcast from last December: Dr. Kelly McGonigal, on "The WIllpower Instinct". McGonigal is a treasure trove of research & evidence on how to change habits, and she motivated me to try to improve my sleep time. I need my 8 hours of sleep a night and I wasn't getting it! What's McGonigal's advice on changing a habit--and improving your willpower to do it? Start small. Don't try to do too much at once. Pick something, & be consistent. Read more about McGonigal on her Psychology Today, "Science of Willpower Blog" and a recent NYT article about her. I've got the diet & exercise habits pretty well mastered. Here's my next habit to use my willpower on: Going to Sleep no later than 10:00 pm so I can get 7 1/2 or 8 hours of sleep. Nothing feels better than being well-rested. I often stay up later than I should--& before I know it, it's 11:30. Big mistake. Sleep Challenge--Night 1: My goal--get 7.5-8 hours good quality sleep. 1. Computer/iPhone is OFF at 9:00 pm. 2. Lights dimmed if I watch any TV before going to bed. 3. Up to bed to read at 9:30 pm. 4. Lights out at 10:00 pm. Honestly, this NEVER would have happened if I didn't go public about trying this. Glad I did. What happened? Success. I followed the plan. By 10 I was ready for lights out. Fell right to sleep. Woke up at 3 & 5 (normal for me) & went right back to sleep. I feel so well rested & raring to go. Ah, sweet sleep! 8 hours of it.How did you do? I'm determined to keep this up. The research on sleep is unequivocal. We need more than we think. Turning off the computer early matters! Going to bed early (if you have a day job) makes a difference! 8-10 pm: Time to wind down & relax. Melatonin rises quickly at this time. 80% of our serotonin, our "perky hormone", comes from the sun. So when the sun fades, so do we. Suddenly we go from awake to drowsy. We're like Cinderellas approaching midnight. That's why you always feel better when you get home early from work, instead of fighting the "hormone flow" & working late or attending evening meetings. We need this time to wind down. It's true for me. Now is the time to slow down and not feel guilty about it. The brain is tired. It's time for a "mindless" activity like TV or a relaxing activity like knitting. Stay away from the computer or brain stimulating games or books. It will mess with your sleep! I guess if I'm going to flop down on the couch, I better stick to a novel, the newspaper or magazines. Tip #1: Dim the lights a little to insure that you keep your melatonin high. Tip #2: Beware of alcohol this late in the day. It will disturb your sleep. 10 pm or later: Get to bed! There's no way around this if you want to be sharp and in a good mood the next morning! Get your 7-9 hours without exception. This is not an option. Your brain needs the time to consolidate memories and learning. Your body needs the time to repair and rejuvenate. Lack of sleep will impair your mood, memory, logical reasoning, motor dexterity, attention, executive function, appetite, and immune system. Enough said. Nod off with a book. Keep your room dark or use eye shades (really! ), to keep your melatonin high. For previous posts on sleep, click here and here! Dr. Eric Topol tested this device out on himself, & it coached him to better quality sleep. Imagine having your very own EEG device, tied to an alarm clock & a head band that monitors your brain waves while you're sleeping? It gave tech-geek Topol lots & lots of personal sleep data; charts, graphs & a Z-Q Score to let him know how well he slept. The higher the score, the better the quality of sleep. Starting out, he got a 67. By turning off his computer an hour before sleep, & getting to bed earlier, he boosted his score to 90. It also showed him how he compared to other people in his age group. Can't vouch for the device, but, the cost is fairly reasonable, starting at $99 on up. Read about My Zeo here. Dr. Eve Van Cauter, a sleep researcher and professor of medicine at the University of Chicago, says Americans have got it all wrong. We take pride in how little sleep we get, as if getting 8 hours of sleep was for slackers. Oh how wrong we are! Only 10% of us can get by on 5 hours a night. That's for the Bill Clintons & Martha Stewarts of the world. But then Dr. Van Cauter reminds us that Clinton had heart surgery in his 50s with no obvious risk factors. Dr. William Dement, chief of Stanford University's Division of Sleep, describes some of the devasting consequences of all the sleep-deprived people walking among us. Aside from all the innocent victims of fatal truck accidents caused by sleep-deprived truck drivers, he reminds us of all the serious mistakes made at the hands of sleep-deprived workers. A biggie was someone who forgot to convert inches to centimeters in the $6 billion mistake in the Mars mission! We've actually been studying this very closely in recent years, that if you take any individual and have them get extra sleep, their performance improves. It's always like here's my personal best. I'm at my personal - well, it gets better (with the extra sleep). And that's a big surprise. Dr. Dement is concerned that people feel they have too much to do to take the time for a good 8 hours, but yet they aren't knowledgeable enough about sleep to know that if they compromise the hours they get each night, their abilities to do what they have to do are severely decreased. We were studying basketball players recently, and as you know, they have a personal best. I can shoot 7 out 10 foul shots, and that's my absolute best. They get extra sleep, it becomes 8 out of 10... People need to know that! (so here it is folks)...the choice is going through life losing an hour of sleep at night, going through life as a zombie, or - giving up that one hour of being a zombie, for being wide awake, alert and at your peronal best all day long. And I think the main thing is, a lot of people just haven't experienced that since they were kids. So when we actually do our sleep debt reduction maneuvers, people say, oh my God, I haven't felt this great in years! I didn't realize - and they are motivated to maintain it- and maintain the schedule. Knowing that we actually sleep in two phases. It's a myth that we sleep 8 solid hours. There are 2 phases of 4 hours each, with a semi-wakeful state in the middle. This is supposed to happen. When you wake up at 3 in the morning, resist the urge to get up, or look at the clock, or start thinking too much. You will fall back to sleep. Give it some time. Wishing you all sweet dreams! Do you notice a difference when you get a good night's sleep? Do you need 8 hours to be at your best? Dr. Hyman recommends these "rules" to get us back to our natural sleep rhythms. "It may take weeks or months, but using these tools in a coordinated way will eventually reset our biological rhythms." Hyman learned the hard way that even doctors can't compromise on sleep. 1. Prioritize sleep, or suffer the consequences. 2. Wind down, dim the lights, reduce mental stimuli, get off the computer two hours before sleep! Do something more mentally relaxing. Take a little "holiday" before getting to bed in order to get your system physically and psychologically ready for sleep. I've found this practice makes a major difference in my sleep quality. 3. Practice the regular rhythms of sleep--go to bed and wake up at the same time each day. Every single time I have to change my regular wake-up schedule in order to start work at 7:00 am, I have a terrible night's sleep! 5. Create total darkness and quiet--consider using eye shades, earplugs, or a white noise machine. 6. Avoid caffeine--it may seem to help you stay awake but it actually makes your sleep worse. 7. Avoid alcohol--it helps you get to sleep but causes interruptions in sleep and poor-quality sleep. 8. Get regular exposure to daylight for at least 20 minutes daily--the light from the sun enters your eyes and triggers your brain to release specific chemicals and hormones like melatonin that are vital to healthy sleep, mood, and aging. Consider using a special light in the morning, like the Philips goLite BLU in the winter. 9. Eat no later than three hours before bed--eating a heavy meal prior to bed will lead to a bad night's sleep. 10. Don't exercise vigorously after dinner--it excites the body and makes it more difficult to get to sleep. 11. Write your worries down--one hour before bed, write down the things that are causing you anxiety and make plans for what you might have to do the next day to reduce your worry. It will free up your mind and energy to move into deep and restful sleep. 12. Take a hot salt/soda/aromatherapy bath--raising your body temperature before bed helps to induce sleep. A hot bath also relaxes your muscles and reduces tension physically and psychologically. By adding one-and-a-half to one cup of Epsom salt (magnesium sulfate) and one-and-a-half to one cup of baking soda (sodium bicarbonate) to your bath, you will gain the benefits of magnesium absorbed through your skin and the alkaline-balancing effects of the baking soda, both of which help with sleep. This was something I remember both my parents used to do, and neither had sleeping problems. 13. Get a massage or stretch before bed--this helps relax the body making it easier to fall asleep. 14. Warm your middle--this raises your core temperature and helps trigger the proper chemistry for sleep. Either a hot water bottle, heating pad, or warm body can do the trick. My heated mattress pad works well for pre-heating my bed in the winter. 15. Avoid medications that interfere with sleep--these include sedatives (these are used to treat insomnia, but ultimately lead to dependence and disruption of normal sleep rhythms and architecture), antihistamines, stimulants, cold medication, steroids, and headache medication that contains caffeine (such as Fioricet). 16. Use herbal therapies--try passionflower, or 320 mg to 480 mg of valerian (valeriana officinalis) root extract standardized to 0.2 percent valerenic acid one hour before bed. On occasion I've tried the valerian/hops combo and lemon balm recommended by herbal expert Dr. Tieraona Low Dog and they worked well. Click here to read more. 17. Take 200 to 400 mg of magnesium citrate or glycinate before bed--this relaxes the nervous system and muscles. If you already take a magnesium supplement, just take it before bed, instead of in the morning. 18. Other supplements and herbs can be helpful in getting some shuteye--try calcium, theanine (an amino acid from green tea), GABA, 5-HTP, and magnolia. 19. Try one to three mg of melatonin at night--melatonin helps stabilize your sleep rhythms. I've taken melatonin on occasion, and it definitely helped me. 20. Get a relaxation, meditation or guided imagery CD--any of these may help you get to sleep. A big thank-you to Betsy K. for the heads-up about Topol & sleep! Share How It's Going & What Works for You. Eat, Sleep, Exercise. The Rules. Michael Pollan, Dr. Mark Hyman, and Dr. Oz. If I want to be on top of my game, energetic, happy, nice, patient, healthy, and clear-headed, I need to EAT HEALTHY FOOD, GET A GOOD NIGHT'S SLEEP, AND EXERCISE. It's that simple. I'm also a sucker for lists. So, when I came across these three "Rules Lists" I wanted to "capture them" for future reference. Food Rules: Your Dietary Do's and Don'ts, by Michael Pollan, New York Times Magazine Food Issue, October 11, 2009. Earlier in the year Michael posted a request for readers' rules on Tara Parker-Pope's Well blog. He received 2,500 responses, and offered his favorite 20 in this issue. Click here for Pollan's full list. He has recently published a short-useful-funny paperback--with 64 short simple rules--Food Rules. An Eater's Manual based on his now famous saying, "Eat food. Not too much. Mostly Plants." For a short interview about the book, click here. I've provided a "mash-up" of my favorites. Some from NYT's readers and some from Michael's book. Sleep Tips: How to Sleep Better, Lose Weight, and Live Longer, by Mark Hyman, MD, practicing physician and pioneer in functional medicine. Huffington Post, Jan. 9, 2010. Click here for the full list. Realistic Resolutions From Dr. Oz, by Tara Parker-Pope, Well Blog, New York Times Dec. 29, 2009. Click here for the full list. 1. Avoid food products containing ingredients that no ordinary human being would keep in the pantry. 2. If it came from a plant, eat it; if it was made in a plant, don't. 3. Eat mostly plants, especially leaves. Aim for a pound or more of fruits and vegetables a day. 4. Treat meat as a flavoring or special occasion food. And when & if you do--Eat animals that have themselves eaten well. 6. Eat well-grown food from healthy soil. 7. Eat some foods that have been predigested by bacteria or fungi. Many cultures swear by the health benefits of fermented foods: yogurt, sauerkraut, kimchi, kefir, natto, and tempeh. 8. Pay more, eat less. 9. Eat less. Eat slowly. Stop before you're full. 10. Limit your snacks to unprocessed plant foods. 11. Try not to eat alone. 21. "It's better to pay the grocer than the doctor' was the saying that my Italian grandmother would frequently use to remind us of the love and attention to detail that went into her cooking." John Forti. 22. Break the rules once in awhile! Dr. Hyman recommends these "rules" to get us back to our natural sleep rhythms. "It may take weeks or months, but using these tools in a coordinated way will eventually reset our biological rhythms." Hyman learned the hard way that even doctors can't compromise on sleep. 4. Use your bed for sleep and romance only--not reading or television. Dr. Oz needs no introduction This short list of 7 rules covers all the basics. 1. Commit to family night. Resolve to eat as a family at least once a week. My kids are all grown-up, but this rule still works for empty-nesters. For kids, its benefit is in healthier eating, home-cooking, and conversation. Research also shows it lowers the risk of behaviors like drug abuse and alcohol use. Oz recommends cooking with your kids. Works for empty-nesters, too--and when the "kids" are visiting! 2. Do seven minutes of yoga a day. We can all spare seven minutes a day. Dr. Timothy McCall, the medical editor of Yoga Journal, says 15 minutes of yoga done daily at home trumps going to one or less classes a week. Oz advises if you haven't tried yoga, try one class to understand what it's all about. "It centers me and allows me to loosen my limbs up so I don't have nagging small injuries." I think yoga is one of the best things you can do for yourself. 3. Go to bed earlier. To figure out what time you need to go to bed--choose a wake-up time, and count back seven and a half hours. No compromises. Oz strongly advises turning off all electronics one half hour before bedtime. He never sacrifices this rule-ever. 4. Always keep nuts or a healthful snack in your purse or pocket. It's the key to prevent overeating. 5. Make a space in front of your television. Since very few of us are ready to give up TV, Oz recommends that we "use it" to improve our health. Do stretches, use your treadmill or exercise bike, lift weights or do core exercise while you watch TV. That's where I do my core exercises. It's where my husband lifts weights. 6. Floss. It reduces the risk for heart attack, inflammation, and periodontal disease. Just do it! 7. Give it two weeks. Once You're Through Learning, You're Through"
My piles of interesting health-related articles for my blog have been growing exponentially this crazy busy summer. Now it's time to either blog about it--or dump the piles in the recycle bin. Make sure your cholesterol numbers are down earlier than your 40's--or you risk both vascular dementia or Alzheimer's. Keep that waist whittled when you're middle-aged. Banish the belly fat. Weight in your middle during middle-age ups your dementia risk. Bring on the berries and the Concord grapes to protect your brain through old age. Research shows both protective benefits from aging, and improvements in learning and motor skills. Keep your blood sugar stable (even if you're healthy) by exercising and eating high-fiber low-glycemic foods like beans, nuts, oatmeal, and quinoa. Blood sugar spikes damage the memory center of the brain. Indulge in a mid-day nap of at least 1 hour. 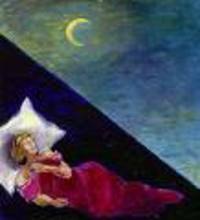 Mid-day REM sleep enhances problem-solving. For the best sleep, keep your bedroom cool. I was all ears when I read this study. As far as I'm concerned--it's all about protecting the brain as we age, trumping heart disease and cancer. This study out of California underscores the advice we've been hearing for years: If it's good for the heart--it's good for the brain. Alzheimer's Disease gets all the attention, but tiny silent strokes diminish the blood supply to the brain resulting in a slow progression of vascular dementia. Both diseases are years in the making. Too bad we wait until it shows its ugly face in our 70's or 80's before we scramble to do something about it. Finally, we have a large study of almost 10,000 multi-ethnic participants who were followed for almost 40 years through Kaiser Permanente in California to provide epidemiologic evidence that even modest increases in cholesterol at midlife result in a substantially increased risk of dementia 20 to 40 years down the road. Bottom line: Those with blood cholesterol levels over 240 in their mid-40's were 57% more likely to develop dementia than those who were at optimal levels. Even borderline cholesterol levels between 200 and 239 were at a 50% greater risk of developing dementia. If you don't take statins--or if you don't want to take statins--now you have one more good reason to consider a plant-based diet to prevent both heart disease and dementia is one fell swoop. The cholesterol drops are considerable with a plant-based diet. "Yes, You Can Prevent and Reverse Heart Disease, But Are You Up for the Challenge? Let, Dr. Esselstyn Convince You!" Source: Whitmer, RA, Solomon, A. et al. "Midlife Serum Cholesterol and Increased Risk of Alzheimer's and Vascular Dementia Three Decades Later," Dementia and Geriatric Cognitive Disorders; 2009 Aug. 4;28:75-80. Bells went off when I read about the Kaiser cholesterol-dementia-midlife study. Rachel Whitmer--the senior epidemiologist--sounded so familiar. Where had I heard that name before? Sure enough, Dr. Rachel Whitmer, who was the chief investigator in the cholesterol study, was also involved in a 2008 study linking excess belly fat to dementia. I wrote about it in April 2008. It bears repeating. Belly Fat & the Dementia Connection. Rachel Whitmer, a research scientist at Kaiser Permanente in Oakland, California, reported in the March 26 2008 online issue of Neurology on her study that followed 6,583 Kaiser Health Plan members. The study began in the late 1960s and early 1970s and measured the abdominal fat of this large group of 40 and 45 year olds. She followed up with them between 1994 and 2006 when they had reached their 70s and beyond. Back in 2005 Whitmer had previously reported that senior citizens who were overweight at middle age were 74 percent more likely to develop dementia. This new study specifically looked at whether belly fat was the culprit. Those people who were obese and had the most belly fat in their 40s were 3.6 times more likely to develop dementia than those with the least amount of belly fat. Those who were overweight--a step below obese--and had large bellies in their 40s, were 2.3 times more likely to develop dementia. 21 percent of those with high levels of belly fat developed dementia. The belly fat dementia connection persisted, even when researchers adjusted their statistics to take into account the effect of stroke & diabetes. Other recent studies found that obese middle-aged adults have decreased brain volume compared with those of normal weight, decreased hippocampal (the memory center) brain volume and greater brain atrophy. These findings imply that the harmful effects of belly fat on the brain may start long before clinical signs of dementia appear and are not limited only to those whom are overweight. Rather chilling, I'd say! Waist of over 31 inches (about 80cm) indicates slight health risk. Waist of over 35 inches (about 90cm) indicates substantially increased risk. Waist of over 37 inches (about 94cm) indicates slight health risk. Waist of over 40 inches (about 102cm) indicates substantially increased risk. Read more: This Belly Fat Is Going to Be the Death of Me and Now I Understand Why. Read more of Rachel Whitmer's articles on the relationship between dementia & cholesterol, body fat, type 2 diabetes, and exercise. James A. Joseph is the Director of the Neuroscience Lab at the Jean Mayer Human Nutrition Research Center on Aging at Tufts University in Boston. He is THE expert in the health effects of berries & grapes. Check out some of his research projects, here. I had heard him speak on brain nutrition on a People's Pharmacy podcast back in April 2009. Click here to hear it. So, when my friend Anna told me he had a "just published" review article in The Journal of Nutrition called "Grape Juice, Berries, and Walnuts Affect Brain Aging and Behavior", I couldn't wait to get my hands on it. Yes, we all know that berries & grapes are full of potent antioxidants and anti-inflammatory properties that both protect & enhance the brain--at least in lab rats--but does this research translate to humans? Joseph's own lab studies have suggested that blueberries, strawberries, walnuts and Concord grape juice can decrease the damaging oxidative stress and inflammation in the aging brain, as well as improve the ability of neurons to communicate with each other--faster thought processing and word retrieval. In this hot-off-the-press article he reviews the extensive brain-berry-grape research. Concord grapes & humans. Dr. Robert Krikorian of the University of Cincinnati "has shown that older adults with memory declines, but not dementia, had significant improvements in several measures of cognitive function when supplemented with 12 ounces of Concord grape juice a day for 12 weeks compared with the placebo. Berries and grapes in animal studies. Rats enhanced their cognitive, spatial, and motor skills when their diets were supplemented with strawberries, blackberries, and Concord grapes. There's evidence that supplementation even reversed age-related cognitive dysfunction, as well as improving balance and coordination. Stay tuned to see how well this translates to humans. Berry protection for the brain in animal studies. Rats who feasted on blueberries and strawberries were able to protect their brains when they were irradiated to simulate the kind of cognitive & memory damage the brain sustains through normal aging. The interesting point: the blueberries and strawberries actually protected different parts of the brain--so diversify your berry munching. Blueberries & humans. Once more, Dr. Robert Krikorian is the man doing the research on people. He has recently shown that a number of learning and memory skills improve when humans supplement with blueberry juice. He's planning to also assess the effects of blueberries on behavioral skills. Berries & grapes may increase the "health span" (better than "life span") by reversing the damaging effects of aging on cognitive and motor behavior. According to Joseph, if you are waiting for a molecular biologist to come up with a magic pill to protect you against the diseases of aging you'll be waiting a long time. His advice: eat a diet high in anti-oxidant rich berries, fruits & vegetables, get plenty of exercise, and exercise your brain by staying engaged & challenged throughout life! Source: Joseph, JA et al, "Grape Juice, Berries, and Walnuts Affect Brain Aging and Behavior," The Journal of Nutrition first published ahead of print July 29, 2009 as doi:10.3945/jn.109.108266. The damaging effects of spiking blood sugar just may be one of the reasons for the widespread memory declines we see as we age. Turns out that up & down blood sugar damages the "dentate gyrus", which is within the hippocampus--the part of the brain responsible for forming memories. Using a high-resolution functional MRI to map the brain regions of 240 elderly subjects, the Columbia University researchers (lead by Dr. Scott Small) found that when blood sugar (glucose) was elevated, the cerebral blood flow in the brain's memory center was reduced. Then, the researchers cleverly played with the blood sugar levels of mice & monkeys to confirm this association between rising blood sugar & damage to the dentate gyrus. The disturbing part of the study is that even slight elevations of blood sugar--less than those seen in type-2 diabetes can cause memory decline. Because blood sugar tends to rise as we age--even in healthy people--this study is a wake-up call to take steps to keep the blood sugar stable. Earlier studies have shown a link between type-2 diabetes & damage to the "dentate gyrus", but this study demonstrated the hippocampal damage in people who are other-wise healthy. What's the antidote for keeping a stable blood sugar and protecting the brain? "This is news even for people without diabetes since blood glucose levels tend to rise as we grow older. Whether through physical exercise, diet or drugs, our research suggests that improving glucose metabolism could help some of us avert the cognitive slide that occurs in many of us as we age," reported lead investigator Scott A. Small, M.D., associate professor of neurology in the Sergievsky Center and in the Taub Institute for Research on Alzheimer's Disease and the Aging Brain at Columbia University Medical Center. Exercise. Regular physical activity has been shown to offset the damaging effects of type-2 diabetes on cognitive function. Because exercise improves the ability of muscles to process glucose, it makes sense that it helps protect cognitive function as we age, according to Small. Low-Glycemic Diet. Eat high fiber low-glycemic foods like beans, nuts, oats, and quinoa. Dr. David Jenkins' study found that low-glycemic foods were superior to even whole grains, like whole-wheat bread and brown rice when it comes to keeping the blood sugar stable. And processed foods should definitely be avoided. The University of Sydney maintains a Low-Glycemic website and database with a wealth of excellent information on the subject. Take a look at their FAQs if you want to learn more. Click here. Sources: Jenkins, DJ et al, "Effect of a low-glycemic index or a high-cereal fiber diet on type-2 diabetes: a randomized trial," JAMA 2008 Dec. 17; 300(23):2743-53. Small, SA et al, "The brain in the age of old; the hippocampal formation is targeted differenially by diseases of late life," Ann Neurol 2008 Dec;64(6):698-706. This is my kind of study--the benefits of napping. As far as I'm concerned, naps are revitalizing and reading Dr. Sara Mednick's nap study that was published June 8th in the Proceedings of the National Academy of Sciences made my day. Here's the scoop: The right kind of nap--one that is long enough to include dreaming (REM sleep) will enhance creative problem-solving and "foster the formation of associative networks in the brain." REM sleep directly enhances creative processing more than any other sleep or wake state and it helps the brain to make new and useful associations between unrelated ideas. Mednick found that a nap with REM dreaming improved creative task performance by almost 40% over quiet rest or non-REM sleep. The catch: to have REM sleep, your nap will need to last at least an 1 hour long. "Dreams are fanciful. They incorporate strange ideas that you would never have put together in waking life. In REM sleep, it becomes more likely that ideas might come together in a solution," according to Dr. Mednick. Source: Mednick, SA et al. "REM, not incubation, improves creativity by priming associative networks," Proc Natl Acad Sci U S A. 2009 Jun 23;106(25):10130-4. Epub 2009 Jun 8. "This book has made a big impact on how I view my study time. Medical school is difficult and exhausting. If I attend all my lectures, eat three meals day, maintain good hygiene, commute to/from the university and get 7 hours of sleep, I only have 3 hours on the weekdays to study. I used to hardly be able to keep my eyes open during that study time and I couldn't remember anything I studied. After reading Take a Nap! Change your life, I have the skills to use napping as part of my study routine. I used to feel guilty when I napped because I thought I was wasting valuable study time. I was just too tired to study. Now I plan naps into my study schedule and it is amazing how much better I recall everything. My test scores in Pathology have improved an average of 8 points since I started napping and my scores keep improving despite no other changes to my study routine. If you subtract out my naps, I'm actually studying less but getting better grades! As I prepare for my USMLE Step 1 Board Exam, consolidating memories and enhancing recall is especially important. I now consider napping a study skill and regular naps are part of my board prep study schedule. Naps have truly changed my life." If I want to feel and think my best I need a good night's sleep. In the winter we lower our heat to 55 degrees and I sleep great. But come the summer--and even with the air-conditioning on--our bedroom temperature often climbs to over 82 degrees and my sleep starts slumping. Check out Anahad O'Connor's August 3rd piece in the New York Times, "Really? The Claim: Cold Temperatures Improve Sleep"
"Studies have found that in general, the optimal temperature for sleep is quite cool, around 60 to 68 degrees Fahrenheit." Bingo! As of 2 weeks ago, my husband and I came up with a solution. We purchased an easy-to-use-portable-on-wheels room air conditioner with enough BTUs to cool our bedroom down to a comfortable 73 degrees. Now we can turn off the useless-at-night whole house air conditioner and enjoy a peaceful sleep--and hopefully conserve on fuel costs. The added bonus: it has just enough white noise to block out the morning shower and kitchen sounds of the early risers in our house. I started this blog as my own computer back-up for everything I learn about living a healthy happy long life. I soon found out that there is no way I can capture everything that comes my way via podcasts, NPR, books, websites, newspapers and magazines with twice a week postings. For a change of pace I'm backing up my brain by downloading the mass of swirling (but useful) health & happiness tips that have come my way this week. Instead of long posts, you're getting the "blog bytes". Music, like laughter benefits the heart. According to Dr. Michael Miller of the University of Maryland, if you're listening to a song that makes you feel "joyful or euphoric", your blood vessels will dilate 26%, improving blood flow--which is an effect similar to that of exercise. Miller says: "The inner lining of the blood vessels--the endothelium--serves as the gatekeeper to vascular health." Keep them dilated & keep them healthy. Just don't listen to the same songs all the time, or it won't work. Mix up your play list--2 week intervals are best. What's on my play list? Shaggy's "It Wasn't Me" & Springsteen's "Dancing in the Dark" & about a million others. Now I'm alternating joyful music with my NPR fix. Low Vitamin D levels are linked to increased body fat. Looking at young Californian women (age 16-20)--where there's plenty of sun--researchers found overweight women had a much lower level of vitamin D, as measured by the serum 25-hydroxyvitamin D test (under 29 ng/mL is too low). It's hard to tell if the excess fat is preventing the vitamin D absorption, or if the low D is somehow causing the excess fat. With vitamin D so important to the prevention of osteoporosis, heart disease, cancer, diabetes, depression & more, everyone should ask their doctor for the inexpensive serum-hydroxyvitamin D test! A healthy vegan diet is all about eating whole real foods--like greens, beans, fruits, veggies, nuts & seeds. This takes preparation & planning. Watch out if you stick to fake soy meat, fries, Fritos, & peanut butter! Read Megan McArdle's piece about her vegan experience here. She's a blogger/writer for the Atlantic Monthly. Unusual Suspects. Everyday foods that will cause inflammation. Increase your diet with foods high in Omega-6s & you increase your body's inflammation--a risk factor for heart disease, arthritis, cancer, cognitive dysfunction & more. Just cut these out: any mayonnaise, except for a low-fat version made with canola oil; anything made with safflower, cottonseed, corn, soybean, unnamed vegetable & sunflower oils; Take Control Spread (it's supposed to benefit the heart-but it's loaded with Omega 6s--use Canola Harvest with Flax instead); Smart Balance mozzarella cheese shreds; many granola bars; McDonald's Grilled Chicken; vegetarian cheeses made with oils; soy hot dogs & burgers; salad dressings made with soybean oil. Here's a link to a free website with data on the omega-6s in everyday foods: Click here. Read Evelyn Tribole's The Ultimate Omega-3 Diet. Ten Tips for Being Happier. This comes from one of my favorite blogs Gretchen Rubin's Happiness Project. My 4 favorites: 1. Realize that anything worth doing is worth doing badly--you have to be willing to try new things & not be afraid of failing if you want to grow. 2. Buy some happiness--sometimes you need to spend some money to keep in touch with friends & relatives, to just make life easier or to eliminate sources of irritation: like plane tickets, a heated mattress pad or wireless earphones to silence the TV. 3. Don't insist on the best--don't waste time & drive yourself crazy trying to make the perfect decision. Be a satisficer not a maximizer! 4. Stop Nagging--not worth it & it only makes matters worse. An ounce or two of nuts a day is a good thing. At 160-200 calories an ounce you have to go easy, but Spanish researchers found that adding nuts to your diet will reduce the likelihood of metabolic syndrome (belly fat, type 2 diabetes, high triglycerides, low HDLs); and Purdue researchers found that nuts keep you full, satisfied & better able to control your weight. My link has a great recipe & specific nut by nut benefits from the Berkeley Wellness Letter. For maximum learning you need a good night's sleep. Howard Nussbaum of the University of Chicago conducted a study that trained college students on video games & clearly showed how learning something new only improves after a good night's rest. Our brains consolidate the new learning during sleep & we actually practice our new skills while we dream. But it's best to be well rested before you learn something new and then "sleep on it"! 38% of us use alternative or complementary therapies. According to a recent report from the National Center for Complementary Medicine and Alternative Therapies, the top alternative therapies include the use of fish oil/omega 3/DHA, glucosamine, echinacea, flaxseed oil or pills, and ginseng. More people are also practicing deep-breathing, meditation, yoga & following it up with a relaxing massage!